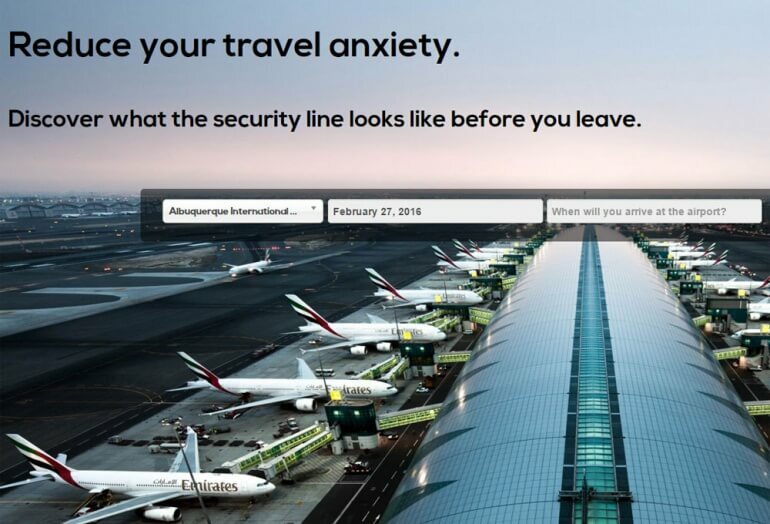 Use this online service to find average wait times for security by entering the airport, date and time you plan to arrive. WhatsBusy uses collected data to help forecast TSA wait times at major airports around the world. After entering a location, time and date you are presented with wait times by line. 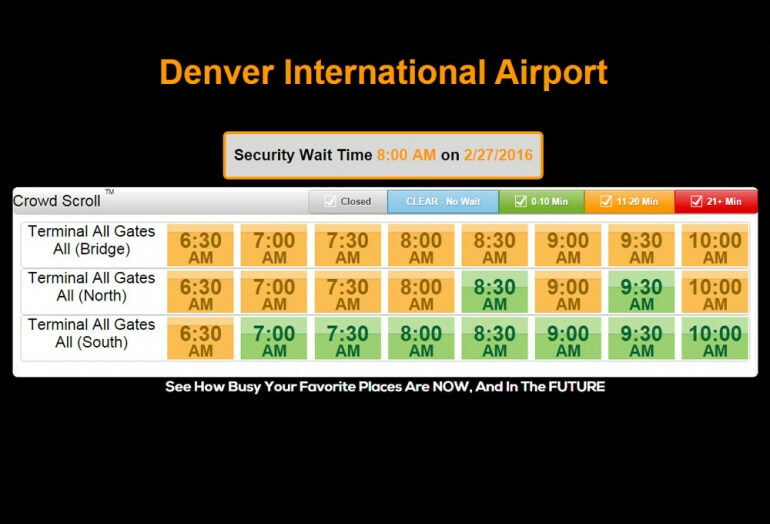 The wait time data is displayed in an easy to use chart showing wait times in 10 minute increments. This same data is also available on the travel site iFLY.